You entered into business to sell a product or provide a service, and generate revenue doing what you do best. But HR is a necessity when you have employees. What could be better than taking a piece of your business and making it somebody else's problem? 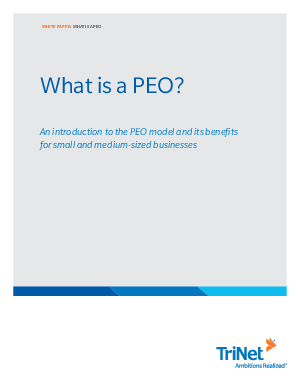 This is what a PEO can provide and in this paper you'll learn about all the benefits partnering with one provides.